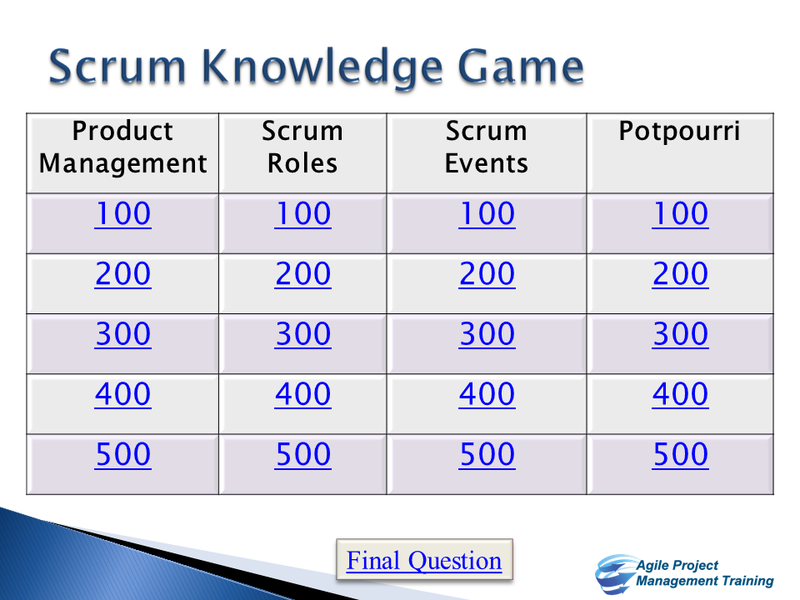 Scrum Knowledge Games | Cape Project Management, Inc. The following are some free games to play with your Scrum team. They are taken from our Scrum Master Certification course and our Product Owner and User Story Training course. The games are free to use. You can either play them from your browser or download them to your desktop. Use them as an ice breaker, part of a team kick-off or a fun way to generate conversation in a Retrospective. I use this ice breaker the first day of almost every training and I refer to the activity throughout the course. Discuss if participants felt any anxiety and why? Tie their anxiety back to project management, e.g., there were no requirements for teams. 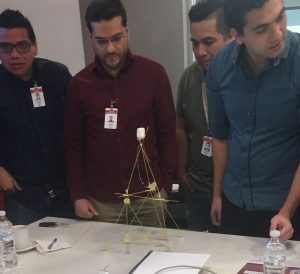 If participants enter the room after the Marshmallow Challenge was started, ask them how it felt to come into the “project” after it was started? 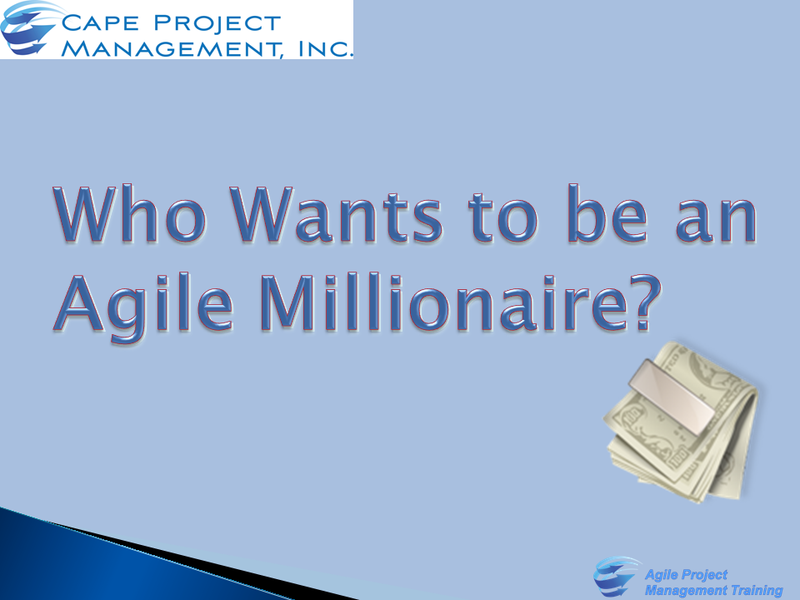 Do you want to become an Agile trainer but don’t have the time or expertise to create the materials? You can license all of our courses and trainings. Click here for more information.